Owens Corning develops, manufactures and markets insulation, roofing, and fiberglass composites. Global in scope and human in scale, the company’s market-leading businesses use their deep expertise in materials, manufacturing and building science to develop products and systems that save energy and improve comfort in commercial and residential buildings. Owens Corning delivers high-performance residential and commercial building and industrial insulation solutions through a full line of fiberglass, foam and mineral wool products and systems. These products and system solutions help conserve energy, improve acoustics and ease installation and use. These qualities add up to preferred insulation products for residential and commercial construction and industrial applications. 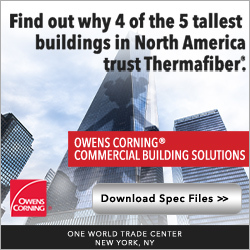 Owens Corning applies the principles of building science to develop safe, sustainable, durable, efficient and affordable solutions that address thermal, air and moisture performance for the entire building envelope. These solutions range from high-performance conditioned and ventilated attic systems to performance-engineered duct systems and wall systems designed for different climate zones. Owens Corning is committed to helping builders meet and exceed codes, providing comfort and energy efficiency to building occupants, and offering safe, trusted insulation systems to installers. Ultimately, Owens Corning people and products make the world a better place. 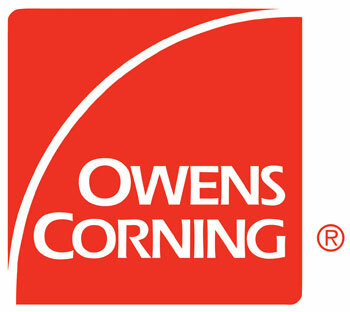 Based in Toledo, Ohio, Owens Corning has been a Fortune 500® company for 61 consecutive years.